Since it’s founding in 2004, IAFT has produced countless of professionals, some of which became movers and shakers in the entertainment industry. One such Alumnus is Victor Kaiba Villanueva, director of the multi-awarded feature film “Patay na si Hesus” (Hesus is Dead) and recent recipient of Inquirer’s Indie Bravo! Awards. Let’s get to know more about Victor as he talks about his filmmaking origins and his views on the future of independent films. Please state your name and what do you do now. Victor Kaiba Villanueva: Full time director for film, TV and advertising. I’m currently being managed by Cornerstone Entertainment Agency, who also manages other big name actors and performers in the Philippines. But I also do a lot of multimedia and marketing consultation for several creative projects. What program did you take in IAFT Cebu and what Term/Year did you graduate in? I enrolled in many certificate programs in IAFT, including, VFX and Animation, and Directing. I was supposed to enroll at the 1 year program, but had to change plans when I was the given the opportunity to help co-produce Jerrold Tarog’s first film, “Confessional.” But luckily, a lot of the first batch of IAFT students (like the pioneering students of 2007-2008) became my close friends and I was usually their producer in many of their films. I was the only knowledgeable Cebuano they know who could take them around and also produce efficiently for them, so I guess you could say I almost got the same experience as the students along the way. I started out as a producer, never would have I imagined to be directing. I got into directing by accident. There’s a lot of unforgettable moments, mostly involving the Tiki Bar and lots of drunk bonding moments with other students LOL! One significant one was when I helped produced Michael Manalastas’ thesis film, “DELUSIONS,” and we entered it in Cinemanila International Film Festival, and it won Best Short. We got to meet Quentin Tarantino, which was one of my biggest idols, and we got a chance to chat, it was awesome. How has IAFT helped you as a filmmaker? IAFT for me was like the Danger room for the “Xavier Institute for the Gifted.” So I guess, the danger room helped me train, and became a supplementary augmentation of my abilities before facing the real world of production. But I have to tell you the real world has simulations not available in the danger room, so I advice to train as much as you can and face the real world real soon, but I guess that depends on how you want to be: be the big fish in a small pond, or a small fish in the big pond. 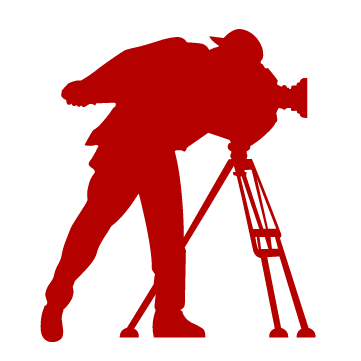 You have directed and been part in several independent productions, some of which received and are receiving national and international recognition, which film would you consider as a turning point in your career as a filmmaker? Why? There are a lot of turning points, but the one fresh off memory, will have to be “Patay na si Hesus.” Literally my life changed overnight after the PPP run. It was a film both the masses and critics liked, it elevated the discourse of using a regional language on a film for nationwide release, “a Bisaya film made money in the box office!” and the offers poured in both local and international, and the number of “victornatix” increased LOL! But yeah, it was all surreal with what we did with PNSH and we didn’t expect it at all and I’m learning new and exciting things everyday in this new frontier. After the unprecedented success of “Patay na si Hesus,” and “My Paranormal Romance,” some consider you as a game-changer in the Visayan Film Industry, what draws you to create feature films in Bisaya? When I make films, I never thought myself as a game-changer of sorts. Always make films from your heart and be honest about it, corny as it sounds, it works. You have to be true to yourself and when I made those films I was in a place that I just really wanted to use Bisaya as the best form of how I can express myself in a film. I’ve always had a theory that some humor would work best when in Bisaya. But aside form that, I’ve always believed that the more local, the more universal, and making a film with your authentic regional sensibilities, somehow captures the nuance and culture of the place, and I would like to think that I;ve contributed something to the history, to culture, to Cebu in particular. And I hope that it would inspire more to tell local stories. We may not have the big budgets of Hollywood, but we have a treasure trove of rich regional stories we can dig up from. What was (were) the biggest challenge(s) in making your movies? How did you overcome it (them)? Budget, it’s always the budget. Overcome them? Lots of ways, basta you gotta work around it LOL! And also, filmmaking is 80% waiting; the other 10% is the actual shoot LOL! Is there a future for independent and localized films? How do you see this niche industry in the next 5-10 years? What’s next for Victor Kaiba Villanueva? Upcoming projects? Currently in production of my Star Cinema movie, “KUSINA KINGS,” which stars Empoy and Zanjoe Marudo. It’s a comedy that’s slated to be released this summer. Also doing lots of commercial work, and working on 2 more scripts all to be produced (hopefully) within the year. Yes, I need sleep, and Ps4 gaming and PUBG eases my tension, add me gaiz, exgangleader! Never be afraid to ask for help. Never be afraid to say sorry and forgive. Never take everything personally; it’s a give and take process. It’s a collaboration, and it’s all about working together.